This summer the Lizard Lab, or as I like to call them, the team, and I have been working really hard. Between taking care of all our lizards and making progress on our own projects, our work is never done! However, all work and no play is no way to spend a summer. So, we declared Thursday, July 14, to be a lab holiday and we took the day off! We exchanged our lab coats and microscopes for bikes and helmets and spent the entire day on the San Antonio Missions Trail. I’ll be honest, I was a little nervous about this idea. I hadn’t ridden a bike in about 8 years. What if I had forgotten how to ride? I also knew it would be very hot because the weatherman predicted temperatures around 100° F (38° C)! Oh no, I thought, I am going to melt! Nevertheless, we all wanted a challenge and a day of action-packed fun, so we strapped on our helmets and jumped on our bikes. I’m so happy that I didn’t let fear or the heat stop me because biking the Mission Trail was one of the best experiences that I have had! 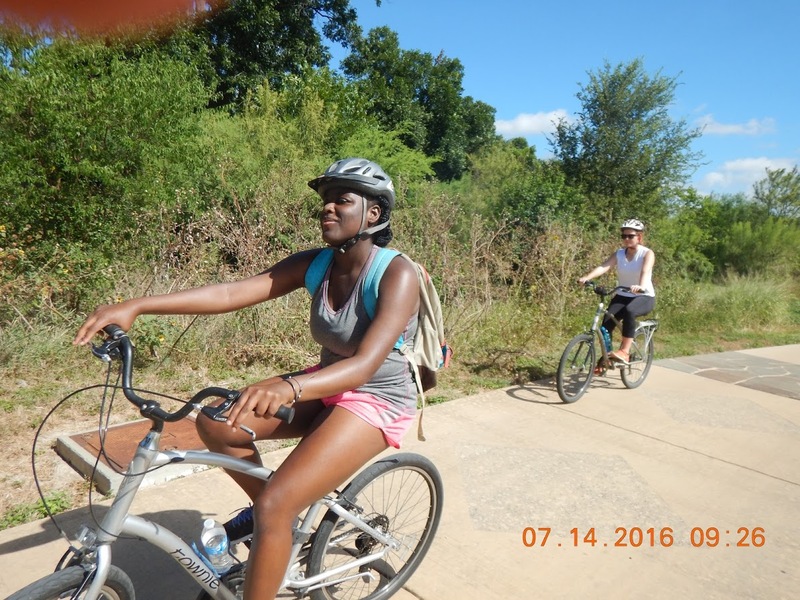 As soon as I hopped on the bike, it all came back to me (thank goodness I didn’t forget how to ride a bike). My muscles remembered exactly what to do, but my brain didn’t quite understand how to shift the gears. But it was okay; my team was there to advise me, cheer me on, and laugh with me while I stumbled along the way. 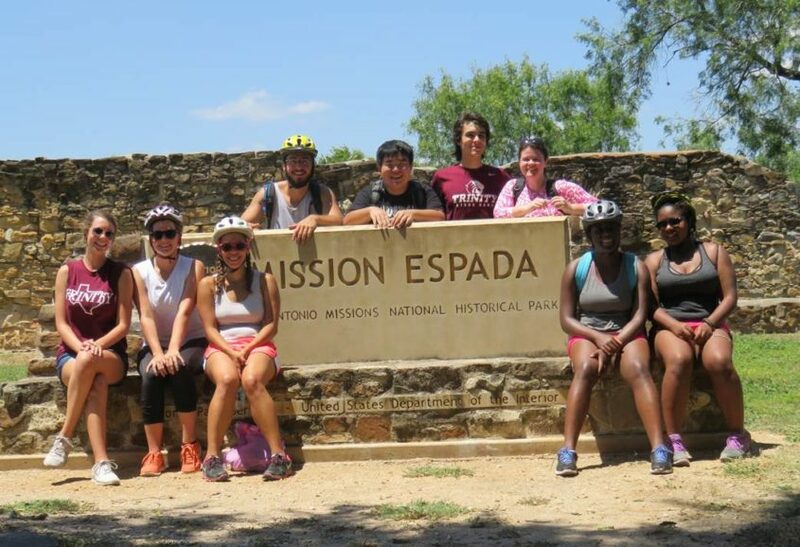 In a line, we all peddled down the path along the San Antonio River and wove between neighborhoods, parks, and most importantly, the missions. 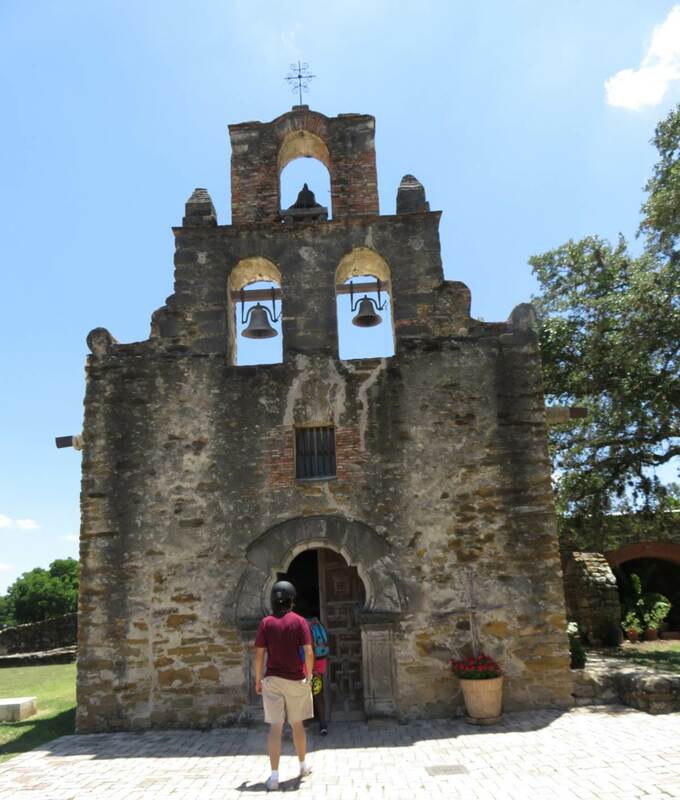 The missions are areas of land surrounded by brick walls where communities of Spanish priests and Native Americans lived in the 1700s. 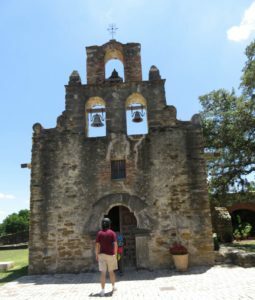 The Missions Trail follows the five missions of San Antonio: the Alamo, Mission Concepción, Mission San Jose, Mission San Juan, and Mission Espada. We couldn’t visit all of the missions, but we were able to see San Jose and Espada. By walking around these missions and exploring the treasures that lie within, we are able to travel back in time and see how people lived long ago. My favorite of all the missions was Mission San Jose. As I walked along the walls and touched the faded stones, I imagined what life must have been like for the people who lived there. With a fraction of our knowledge, resources, and technology, they were able to craft these beautiful structures. It’s mind-blowing! In the visitor center, we watched a short film called Gente de Razon, which provided the history of the mission told from a Native American viewpoint. 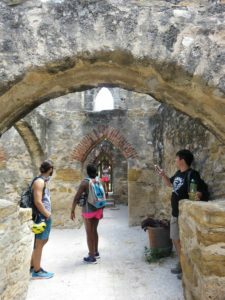 I enjoy learning about the history of San Antonio and understanding how and why things came to be the way they are today. This was a definitely a highlight for me. After the show was over and we had all cooled down and drank plenty of water, we jumped back on our bikes and continued racing down the trail. We only stopped to rest, take pictures, or admire how beautiful the landscape was. Despite getting lost, being covered in sweat, and being incredibly stinky, our holiday was a success. After a long day of exploration and biking for over 20 miles, we treated ourselves to fried pickles and hamburgers. Not too shabby for a lab holiday!